Larger Project 2-3, Living Room » Roger Perron Inc. 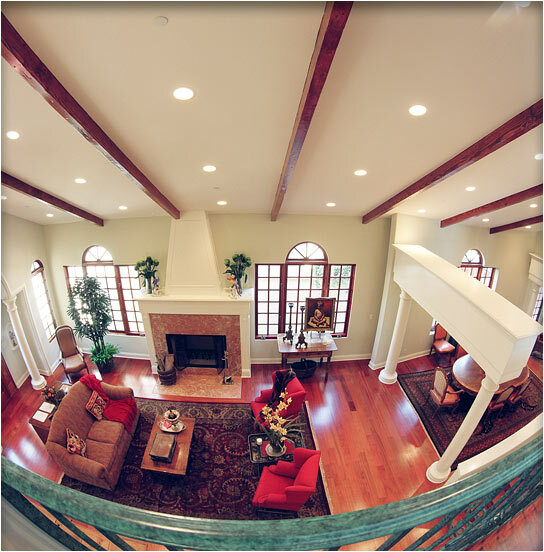 This is a view of the living room from the second-floor landing. The railing was faux-painted patina color. The flooring is natural Brazilian cherry.